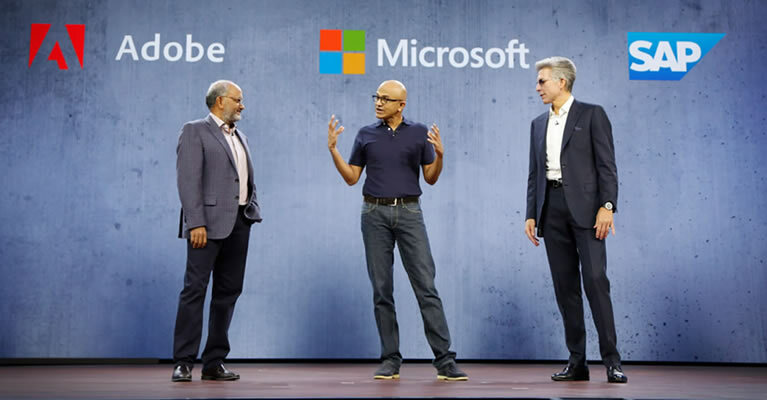 This week at the Adobe Summit, Adobe CEO Shantanu Narayen and Microsoft CEO Satya Nadella revealed additional details about the Open Data Initiative. As originally announced last September, Adobe, Microsoft and SAP outlined a common approach and set of resources for customers with the ambition of helping customers create new connections across previously siloed data, more seamlessly garner intelligence, and ultimately better serve brands with an improved view of their customer interactions. The Open Data Initiative has been focused on enhancing interoperability between the applications and platforms of the three partners through a common data model with data stored in a customer-chosen data lake. This unified data lake is intended to allow customers their choice of development tools and applications to build and deploy services. To improve that process, the three companies plan to deliver in the coming months a new approach for publishing, enriching and ingesting initial data feeds from Adobe Experience Platform, activated through Adobe Experience Cloud, Microsoft Dynamics 365, and Office 365 and SAP C/4HANA, into a customer’s data lake. This will enable a new level of AI and machine learning enrichment to garner new insights and better serve customers, they said in a press statement. To accelerate development of the initiative, Adobe, Microsoft and SAP also announced their plans to convene a Partner Advisory Council consisting of over a dozen companies including Accenture, Amadeus, Capgemini, Change Healthcare, Cognizant, EY, Finastra, Genesys, Hootsuite, Inmobi, Sprinklr, and WPP. These organizations span myriad industries and customer segments and believe there is significant opportunity in the ODI for them to drive net- new value to their customers.